A new member of the Association recently had a question about her website traffic- she was seeing a surge in site visitors, maybe one or two new sign ups to her mailing list, but nobody was buying anything! Assuming that her website is set up and ready for loads of traffic to come and buy her art, what is she to make of this phenomenon? It’s likely that there are a few factors at play: the way her art is displayed, ease of checkout, how well she’s communicating her story. But her experience highlights an important realization that high website traffic isn’t always a good thing. And this introduces the essential question: who is visiting your website? 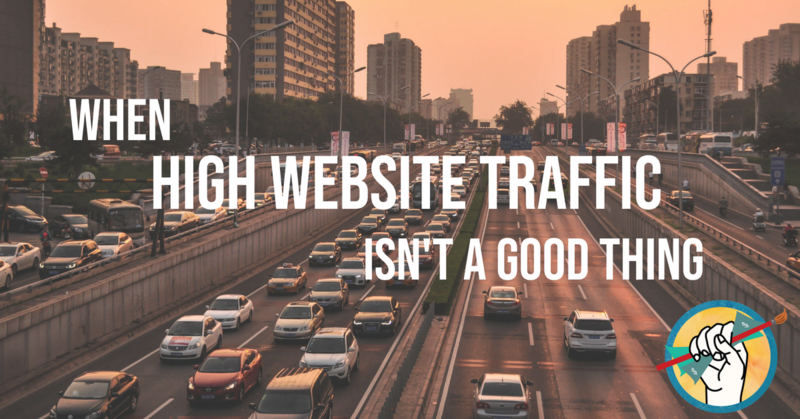 Isn’t all website traffic good traffic? People who buy something– this is the best traffic for obvious reasons. This may be someone you met at a show who later visited your site to buy a piece they’d had their eye on, someone who saw your work on Pinterest and fell in love, or perhaps even someone who found you through a Google search. People who are interested, but don’t buy anything immediately. Brand awareness is an important part of the sales cycle, so don’t discount visitors who don’t buy anything outright. Google Analytics can help you gain a better understanding of who’s visiting your site and gauge their level of interest in your work. People who will never buy something. This traffic is essentially meaningless. It includes bots and spam traffic as well as people who visit your site but never have any intention of buying your work. While it’s not necessarily hurting anything, it can skew your understanding of your website traffic, which can lead you to make incorrect business decisions or become complacent about the content and quality of your website. Research your target audience. This is the most important part of the formula. Before you can effectively target your audience, you have to know who they are. Otherwise your marketing will be a little bit like throwing darts with your eyes closed. Make interesting social media and blog posts that appeal to your target audience. Give people a taste of what they can find on your site- share snippets from a blog post, a series of work-in-progress photos or a process video. Intrigue people into wanting to see more. Here are some more ideas for great work-in-progress posts. Retarget interested visitors who don’t buy anything. This is an advanced skill. Learn how to identify the pages that visitors to your site spent time on, and work on targeted ad campaigns to bring those visitors back to your site. Need help figuring out who your target audience is? 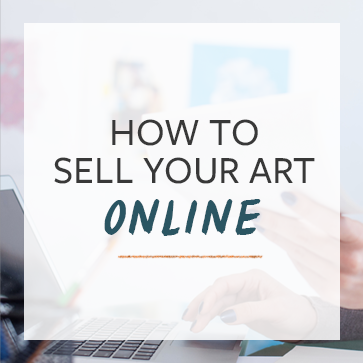 How to Sell Your Art Online 101 walks you through the process with exercises to help you identify your ideal collector… and increase your art sales!